@LondonBallerina & Matthew Ball heartbreaking opening night for #ROHRomeo. @balletboy09 on fire as Tybalt. What did you think of Romeo and Juliet? Share your reviews via the comments below, or by using #ROHromeo. 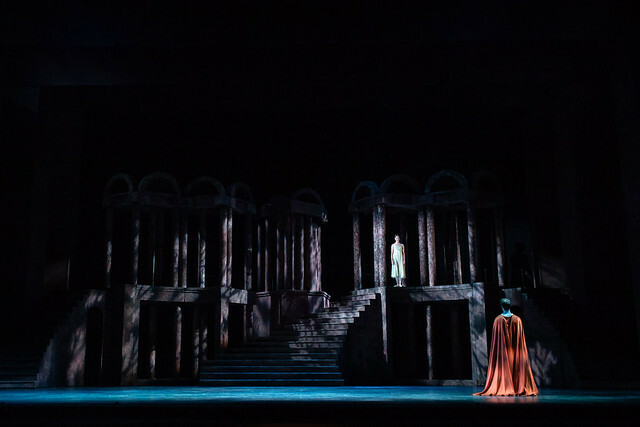 Romeo and Juliet runs until 11 June 2019. Tickets are available here. Romeo and Juliet will be relayed in cinemas around the world on 11 June. Find your nearest screen here. The production is staged with generous philanthropic support from Julia and Hans Rausing, Melinda and Donald Quintin, Sir Lloyd and Lady Dorfman, Kenneth and Susan Green, John and Susan Burns, The Gerald Ronson Family Foundation, The Goldhammer Foundation, The Royal Opera House Endowment Fund and an anonymous donor. A really first class first night performance by all. Whilst Cuthbertson and Ball appear to be a good pairing for me the better pairing was Takada and Hirano who performed at the General Rehearsal on Tuesday. I would love to see this combination again as I consider that both could be used more by the company. Best wishes to all for the remaining performances particularly Thursday evening 28th March. You may not realise, Dewi Hughes, that Ryoichi Hirano is now dancing Romeo with 2 different Juliets as well as being cast as Paris. 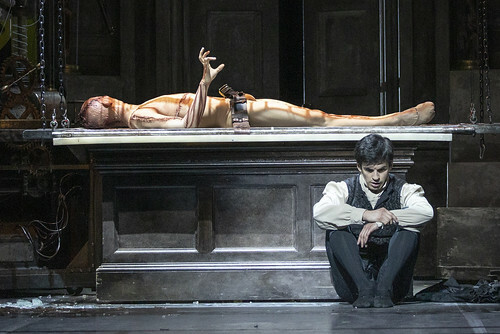 He recently finished the run of Frankenstein where he played The Creature to considerable acclaim and is also still cast as Espada in Don Quixote, another signature role for him. This calendar year, Akane Takada has danced The Girl in 2 Pigeons (beautifully), had the cinema broadcast as Kitri in Don Quixote and is now being a lovely Juliet. In my view, Kevin O'hare is very even-handed in his casting and, actually, there are Principals who have significantly less stage time than the two artists you mention. There is also, surely, a need to ensure that dancers are not over-used/over-worked. It was seeing Lauren Cuthbertson dance Juliet with Federico Bonelli a few years ago that drew me back to classical ballet after being committed to modern dance for many years. I thought she was marvellous then but she was even better on Tuesday evening. Her performance was nuanced, sensitive and completely convincing. She captured the youth and vulnerability of Juliet as well as her determination and passion. Matthew Ball was a romantic (that cloak!) and tender Romeo who went from strength to strength during the evening. Their final pas de deux was utterly heart wrenching. The rest of the cast was excellent too - particularly James Hay as Benvolio, Valentino Zucchetti as Mercutio and Gary Avis as Tybalt. A special mention for the Mandolin dance - and particularly Marcelino Sambe, who is a life force - and the harlots with their unstoppable energy. It was a fabulous evening - thank you to the whole company. Akane Takada's debut as Juliet (very ably supported by Ryoichi Hirano in his Romeo debut, and James Hay in his Mercutio debut) was so movingly danced and acted - pretty close to perfection in my book! She is such a great performer now, and has become, for me, a first choice when considering booking options. Richard I agree. As I stated having seen Akane and Ryoichi in the General Rehearsal last Tuesday I think they are a perfect partnership. Perhaps they will be used as a pair again. I completely agree with Richard. Over the year Akane Takada has become a great artist and I try not to miss her in anything. The partnership with Ryoichi Hirano is very special. More stabbings and knife crime. Dear Royal Opera House ... when will you reveal Steven Macrae's replacement for Romeo and Juliet and Within The Golden Hour ? also I heard that Reece Clarke Injured himself in Don Q and had to be replaced by Nicol Edmonds ... will be healed in time for Romeo ? Anyone who was privileged enough to witness the debut performance of Anna Rose O'Sullivan & Marcelino Sambe will realise a new generation is born. Youth wins the day! Perfect, thank you Royal. A fabulous Saturday matinee with wonderful public debuts from Anna-Rose O’Sullivan and Marcelino Sambe in the title roles, completely believable as the young lovers and heart breaking in the closing scene. Romeo had great support from Luca Acri and Teo Dubreuil, also both debuts. 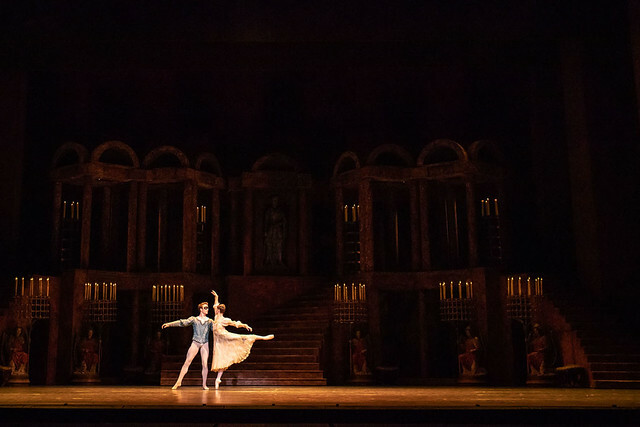 The Royal Ballet gave a compelling performance - loved Kristen McNally, Mica Bradbury and Romany Pajek as the Harlots and David Yudes leading the Mandolins. An astonishing afternoon, one of those very special occasions that will live long in the memory. Thank you Kevin O’Hare for nurturing your supremely talented younger dancers and giving them such an opportunity - I just wish this cast had a further public performance. Those fortunate people attending the earlier schools matinee I’m sure will have been transfixed and will hopefully return many times to the Royal Opera House. Huge congratulations to all and particularly Anna-Rose and Marci.